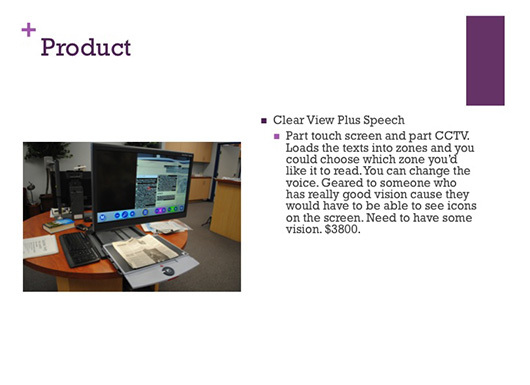 Technology is transforming the possibilities for living well and independently even when people lose their ability to see clearly. 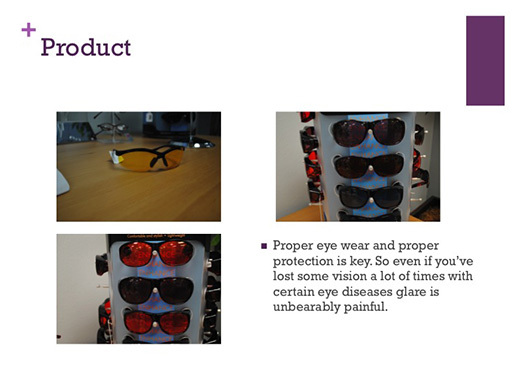 Loss of vision, be it blurred vision, cataracts, macular degeneration or glaucoma, can affect the way one lives. Some conditions, such as cataracts, may be corrected; others may be helped with medication and treatment. Yet, dealing with eye-related diseases makes it difficult to perform simple things that people with normal vision take for granted. Vision problems can affect walking, reading a book, driving or even identifying faces. 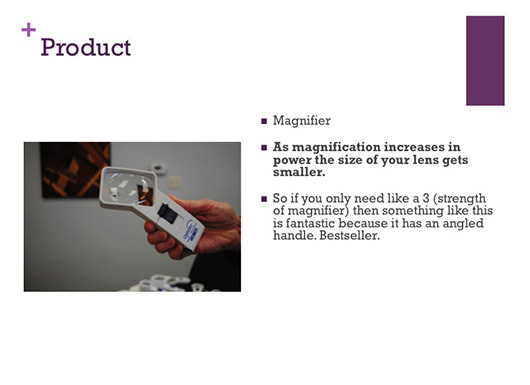 Fortunately, there is help available for many vision problems. 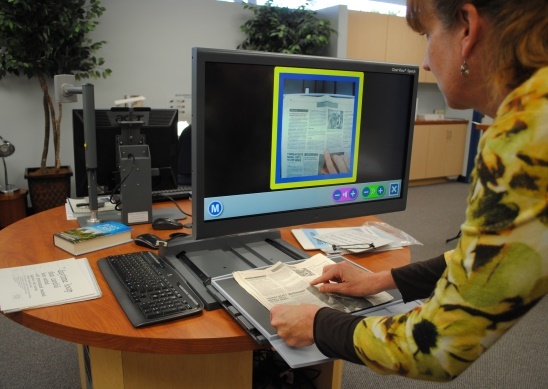 A great resource for people with low vision is the San Diego Center for the Blind. 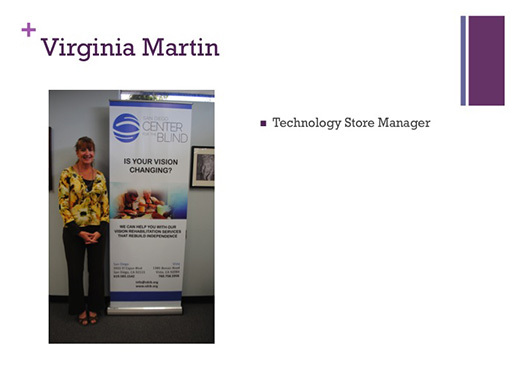 I recently toured their College area office with store manager Virginia Martin as my guide. 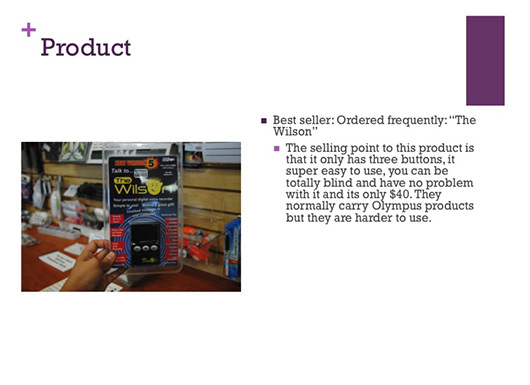 The products they select for their store give people with low vision an opportunity to live their lives as independently as possible. 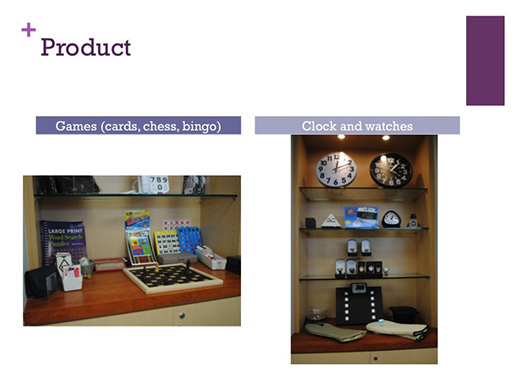 They select products for all budgets and from many manufacturers on the basis of quality, effectiveness and need. 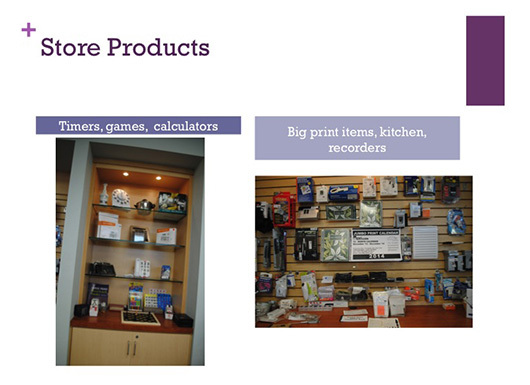 Here are some of the products to help with vision loss that you’ll find in their store. 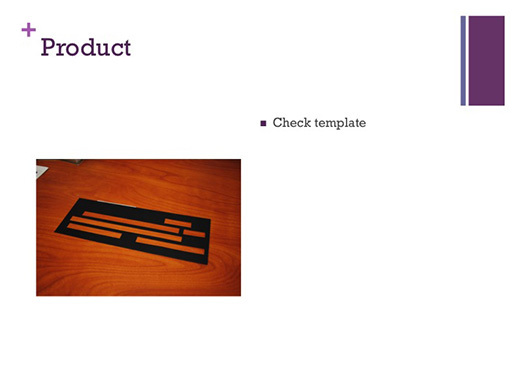 Talking Bank Note Identifier. 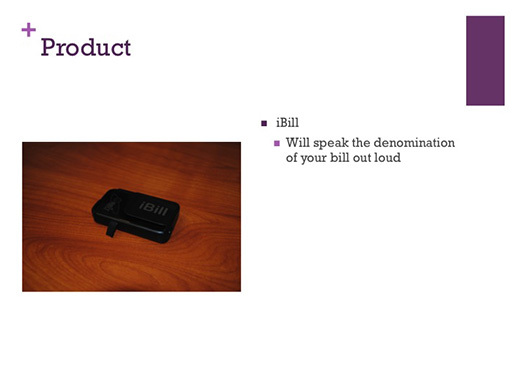 The iBill is compact, easy to use and recognizes all U.S bills in circulation. 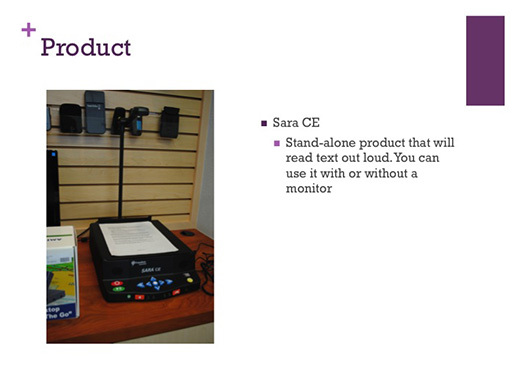 A state-of-the art digital recording technology for recording clear messages and easily playing them back. Handy for recording and playing phone numbers, addresses, shopping lists, reminders, appointments, directions; it can clip to belts, visors or purses. Recording time is twelve hours. 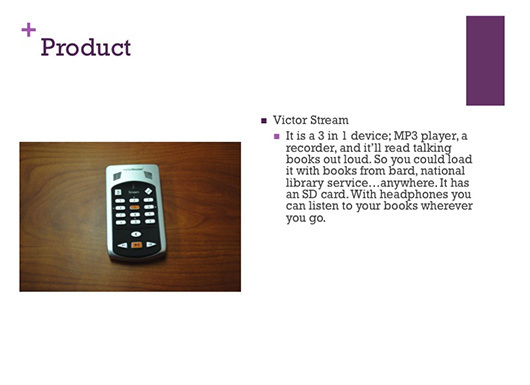 It also comes with a USB Cable to connect to your PC or MAC. The earpiece rides on the jawbone so you’re able to hear through bone conduction. It makes travel safer when you’re using navigation system because you can still hear, ambient noise like cars and traffic. 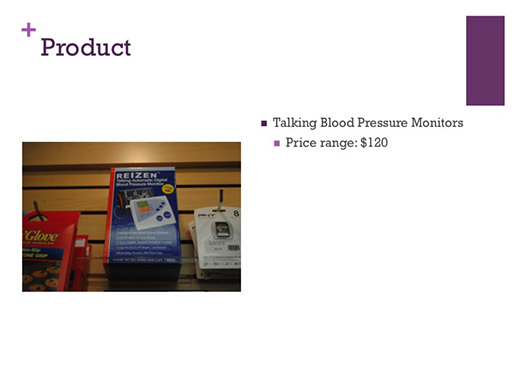 They have some clients who need to check their blood pressure every day. Some even take a bus to their doctor’s office just to have their blood pressure checked. 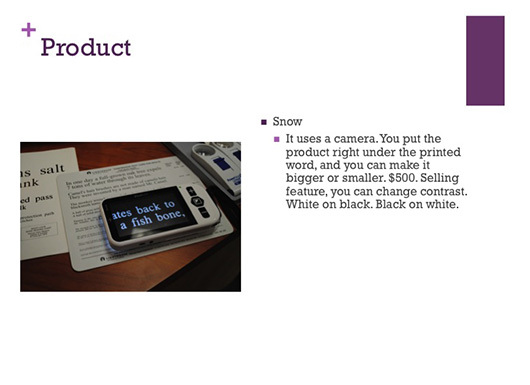 The talking monitor is a great product because it gives people with low vision the ability to take their blood pressure themselves without leaving their homes. Totally portable and only weighs about 7 pounds. 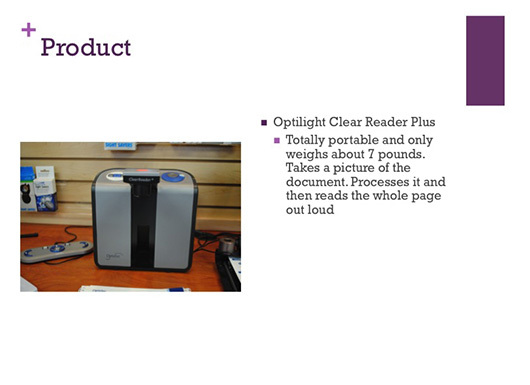 It takes a picture of whatever document you have, processes it and then reads the whole page out loud. 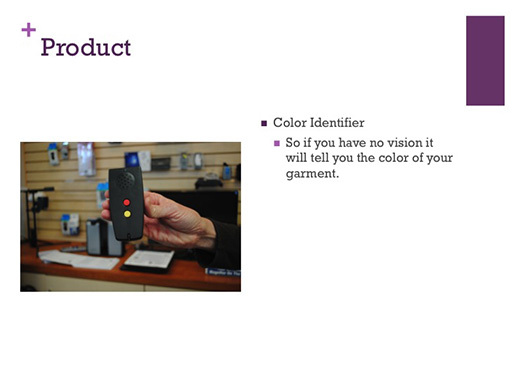 Compact and easy to use; these electronic devices can help you “see” and recognize a color for you. They are very helpful for selecting coordinating clothing, sorting laundry, identifying the packaging of medications or performing other tasks that depend on color. 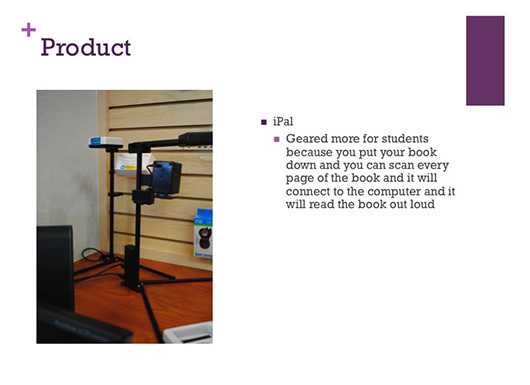 This product uses a camera. 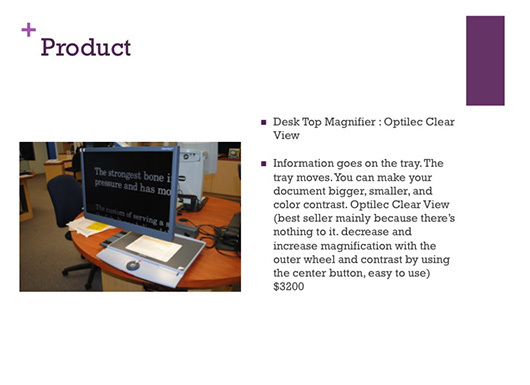 A document is placed right under the camera and the words are magnified 16 times the original size. 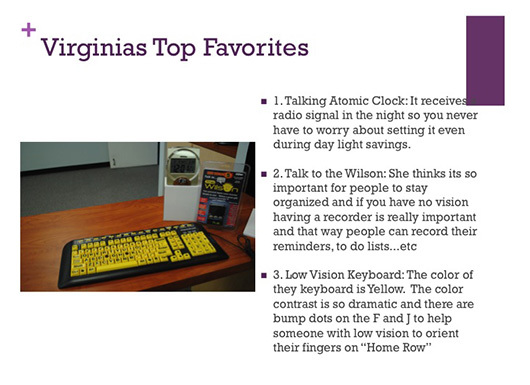 It also has 10 color contrast modes. 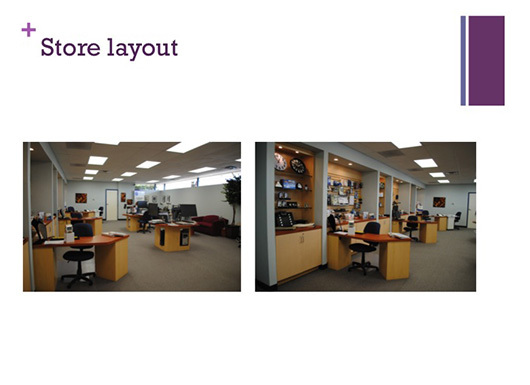 A selling feature is that it is multi-directional and the natural spectrum daylight or full spectrum bulb produces really bright white light. 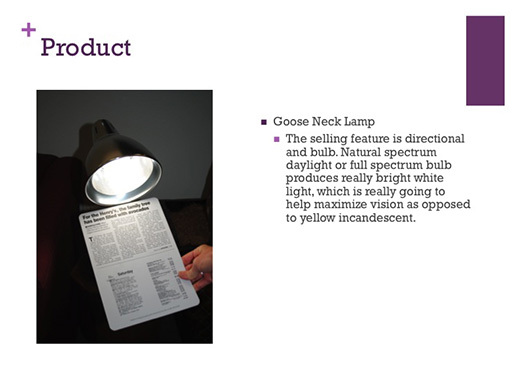 This bulb maximizes vision more than a yellow incandescent light. 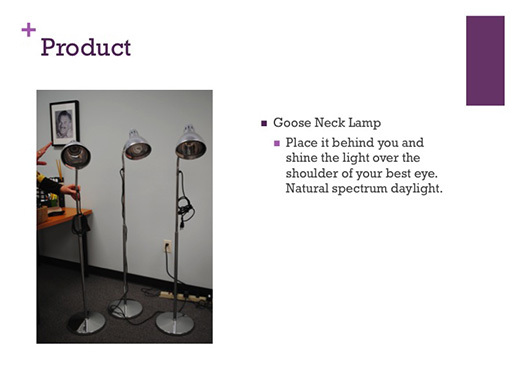 A helpful tip: When using, place it behind you and shine the light over the shoulder on the side with your best eye. 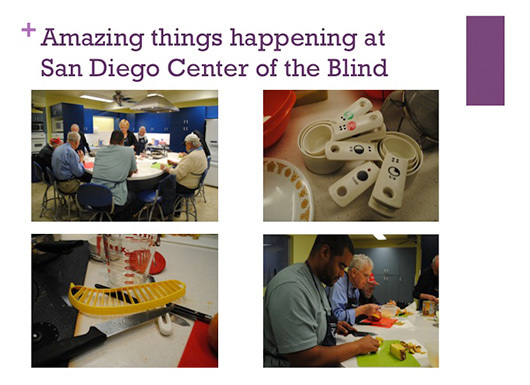 In addition to the store, the San Diego Center for the Blind also offers low-vision appointments and counseling, transportation to their location, and free kitchen skills classes. To qualify for their classes you have to have a visual acuity of 20 over 70 in your best eye or worse. 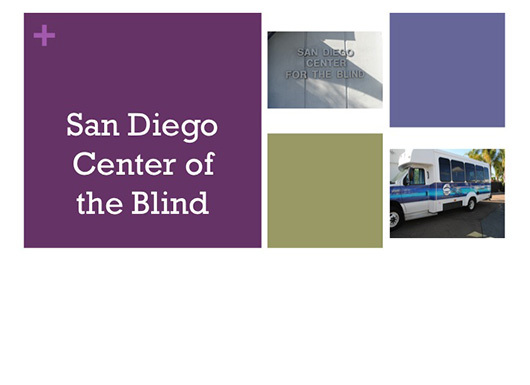 The San Diego Center for the Blind is located at 5922 El Cajon Blvd, San Diego, CA 92115. 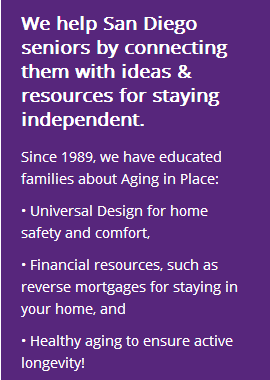 For more information visit their website or call: (619) 583-1542.